Throughout his six decades in the public eye, Winston Churchill understood and wielded the power of words. In his speeches, books, newspaper and magazine articles, he expressed his feelings and laid out his vision for the future. His wartime writings and speeches in particular have fascinated generation after generation with their powerful narrative style and thoughtful reflection. These 200 extracts from Churchill’s entire oeuvre of books, articles and speeches reflect the essence of Churchill’s thoughts and personality, his life story, career and philosophy. They range from intimate memories of his childhood and schooldays to his contributions to more than 50 years of debates on social policy and on war, and his efforts after 1945 to see the world a better place. 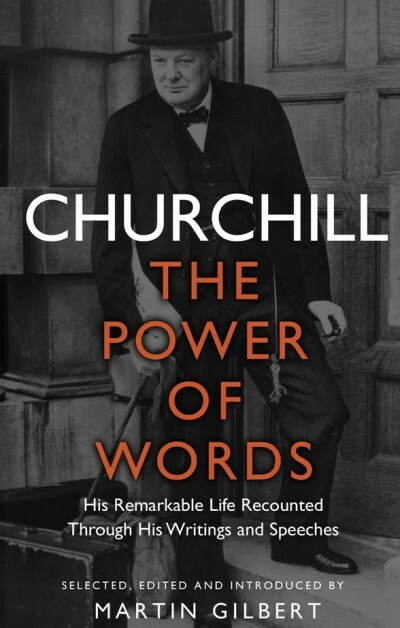 The choice of extracts, together with introductory and explanatory text linking them together, create a fascinating and compelling biographical narrative of Churchill’s life as recounted in the great man’s own words. 'Don’t be careless about yourselves – on the other hand not too careful. 'Keep a special pair of boots to sleep in & only get them muddy in a real emergency. 'Use alcohol in moderation but don’t have a great parade of bottles in yr dugouts. 'Live well but do not flaunt it. 'Laugh a little, & teach your men to laugh – gt good humour under fire – war is a game that is played with a smile. 'If you can’t smile grin.